When I wrote about Silver last year, I incorporated the show tune “Getting to Know You” into my post. This is because my visit coincided with the Tony Awards, and it seemed fitting. This post can be considered an encore. As a quick synopsis, Silver is the more sophisticated sister of Silver Diner. Executive Chef Ype Von Hengst refines and refresh the menu every season. His latest adaptation puts a spotlight on Flexitarian dishes. 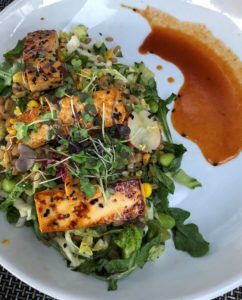 Diners who want healthy choices, as well as those who are gluten free, pescatarian, vegetarian, vegan, and/or dairy-free will delight in the newest selections. 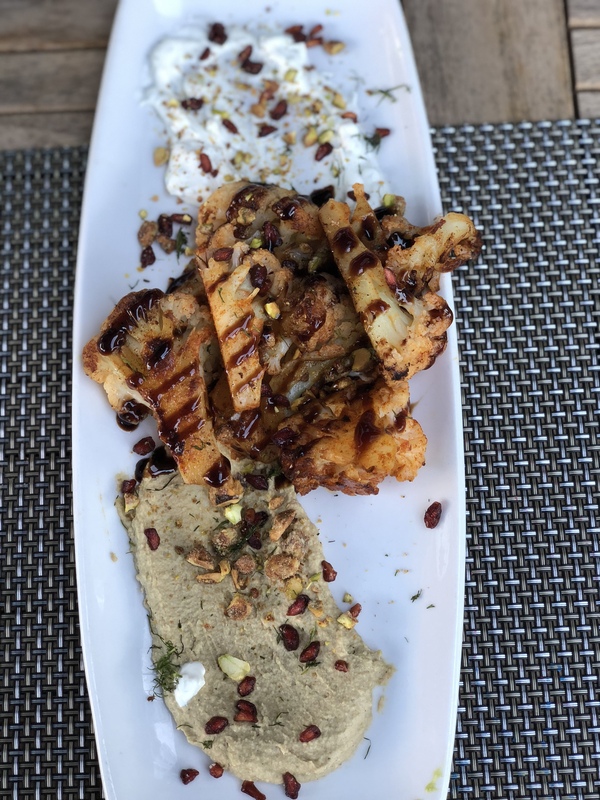 From the sharing plates section of the menu, cauliflower mezze deserves a standing ovation. The roasted vegetable is topped with cinnamon and chipotle spice and a toss of balsamic glaze. 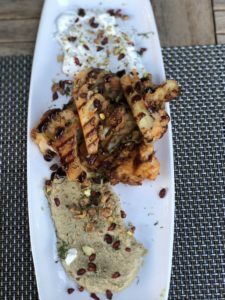 The vegetable is accompanied by a medley of rich hummus and tzatziki dressed with fresh dill and candied pistachios. Pomegranate seeds dance across the plate. The Korean Tofu Bowl, also making its menu debut, is a vegan dish comprised of sambal glazed tofu tossed with sweet corn, edamame, scallions, farro, and radish. The $14 dish is surprisingly filling as a dinner entree. Spiced with ponzu and gochujang it’s a rousing second act. More options for the flexitarian-leaning diner: a vegetarian Tuscan Burrata Bowl and an Ahi Tuna Poke Bowl, with fresh vegetables and grains taking center stage. I appreciate the “Under 600 Calories” section of Silver’s menu, mostly because it allows me to drink alcohol and share an appetizer and dessert with a little less “should I, or shouldn’t I?” I’m grateful for these entrees that are lighter in calories but remain full-flavored. Pan-seared scallops from Cape May are plump and juicy, prepared with a light lemon garlic sauce and topped with feta and dill. 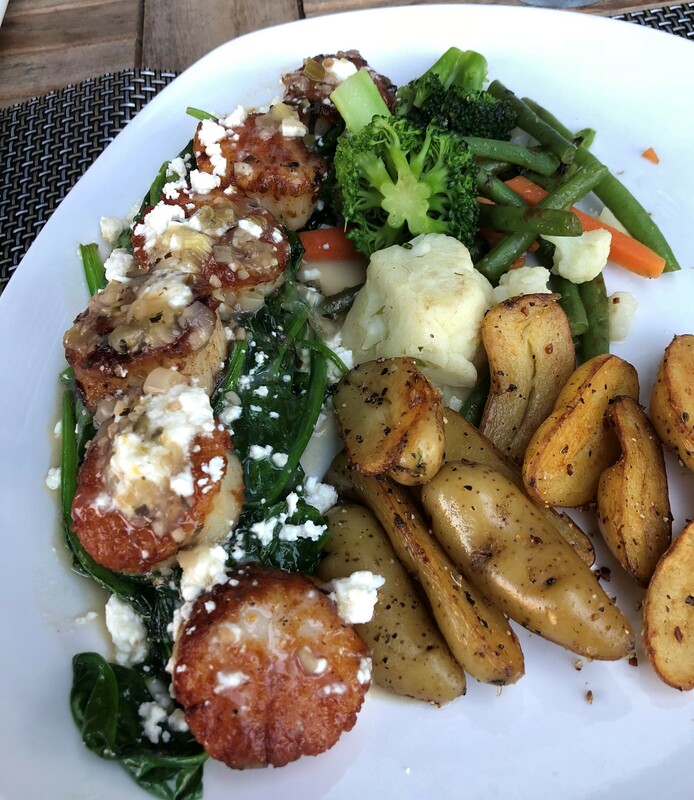 A healthy dose of fingerling potatoes has me wondering how this dish is under only 525 calories, but I decide it’s best not to question and keep on digging into the tasty spuds. 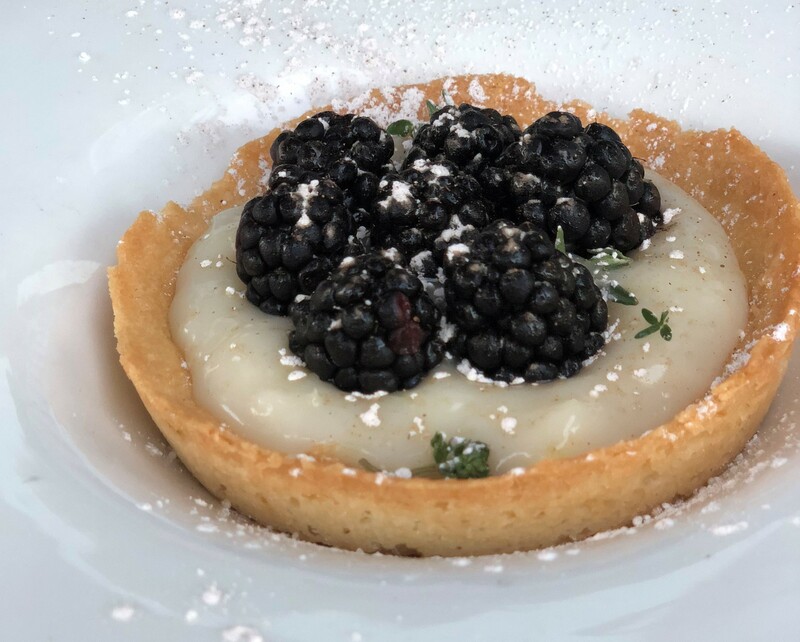 The vegan lemon tartlet with blackberries and thyme is a light and summery finale. Bravo to Chef Ype Von Hengst. Under his direction, Silver deserves praise for its current season’s offerings. *Chef Ype will compete on the Food Network’s”Beat Bobby Flay.” Watch the episode Sunday, August 5 at 10:00 pm.